Black markets seem to be an integral part of human existence. Supply and demand trumps all. The authorities (rightly or wrongly) ban a commodity for which there is demand and the profit incentive will drive entrepreneurs to find a way to supply it. The punishment or consequences for participation in these illicit activities dictates how visible they are. This is why, for example, in America or Austria one cannot simply stroll into a local convenience store and purchase bricks of cocaine and, conversely, why it is so relatively easy to visit markets selling every imaginable illegal product in places such as Indonesia or Sudan. Lack of consequences = illegal commerce with higher visibility. Simple. This lack of consequences is usually driven by a combination of corruption and weak governance. Unfortunately, there exists a tremendous demand for products derived from the world’s endangered species – particularly ivory, horns and hides – in recently wealthy Asian countries such as China and Vietnam. The laws of supply and demand have created an army of poachers, smugglers, middlemen and merchants to meet this demand with supply. For now, the primary killers of Africa’s species that are in the highest demand, such as elephants and rhinoceroses, remain criminal networks with the ability to establish and maintain supply chains that stretch from the plains and forests of Africa to markets in Asia, paying off corrupt officials every step of the way. However, others have also taken notice of the tremendous profits to be found in the mass slaughter of endangered species. It has been proven that murderous regional African militias such as the Lord’s Resistance Army and Sudan’s Janjaweed deal in illegal ivory to help finance their activities. Further, it is alleged, although not yet fully proven, that Somalia’s al-Shabaab, Nigeria’s Boko Haram and the Islamic State have also tapped into the illegal ivory trade. Thus, not only does the wildlife suffer, but the proceeds these groups receive from the suffering and killing of the animals directly supports the suffering and killing of humans as well. 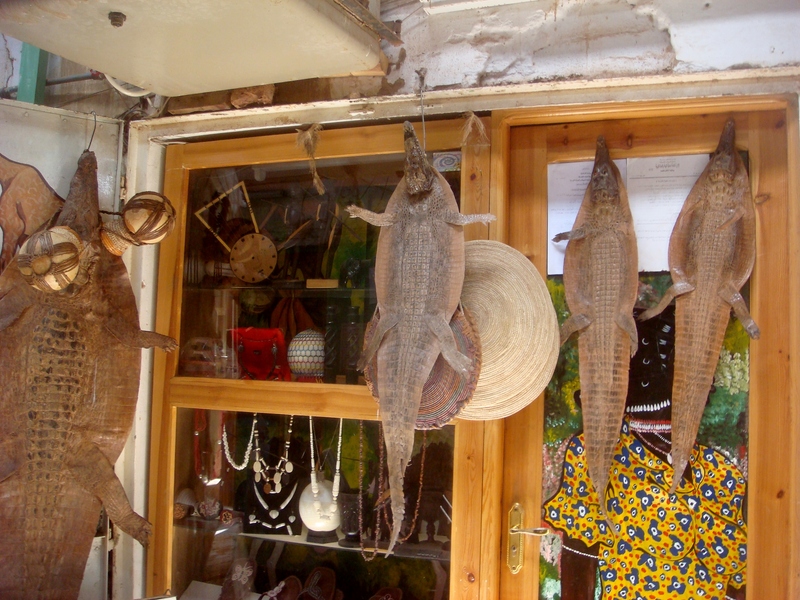 In Sudan, corruption and weak governance have given rise to a fairly visible section in the central market area of Khartoum where all manner of wildlife products can be purchased with ease. 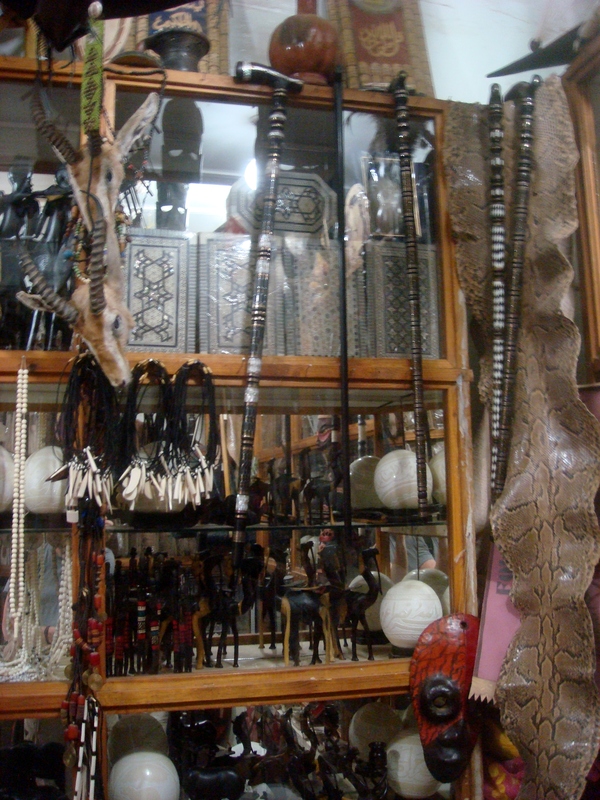 The majority of the materials for sale are banned under the Convention on International Trade in Endangered Species of Wild Fauna and Flora treaty (CITES). However, this treaty is of little concern to the merchants who quite profitably sell their products and whose steady payoffs to the Sudanese law enforcement community ensure a distinct lack of consequences. For extra insurance, lookouts with mobile phones will make a quick call to contacts within the market to provide ample warning of police or other trouble approaching. However, this is rarely needed as the police forces very rarely venture into the smuggler’s market. 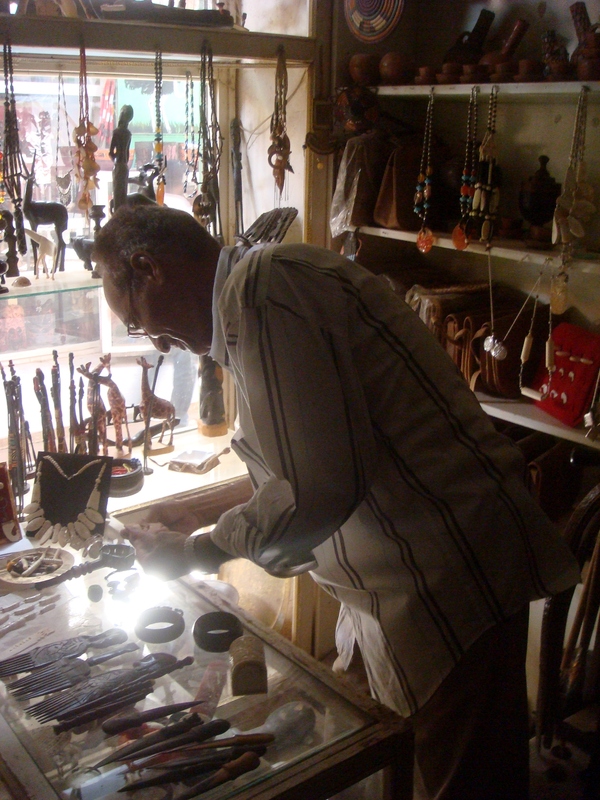 If pressure from Western NGOs or governments has compelled the Sudanese authorities to make a gesture of “cracking down” on the trade in endangered species, a discreet phone call from police headquarters will make the vendors in the smuggler’s market aware of a “surprise raid” hours or even days in advance. The subsequent raid, which will, unsurprisingly, turn up little or nothing in the way of illicit material will be announced as a success and the authorities will point to the lack of results as evidence of how little smuggling and illegal activity exists in their country and, further, that they are cooperative partners with the West that are serious about getting tough on crime. 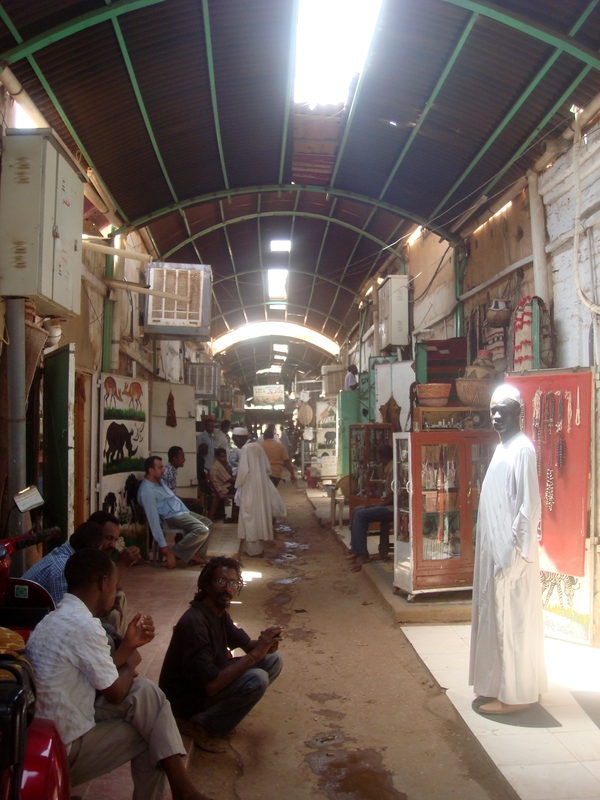 The reality is that it is just business as usual as both the Sudanese government and the merchants in Khartoum’s smuggler’s market benefit from a lack of enforcement action. Still, it was with some trepidation that we made our way into the market. Would we be met by hostility and trouble? Surely, our cameras would be unwelcome. At the very least, I expected those inside to be quite surprised by our arrival as had been the norm during our time in Sudan. Instead, the reality surprised me. The only emotion that visibly registered on the faces that met us when we entered was hand-rubbing greed. It was most certainly not surprise. I found this telling, as to me it was indicative of the extent of complicity in this dark trade by those in developed countries. Those inside were clearly used to seeing visitors from foreign lands. Tags: Africa, African Poaching Drives African Wars, CITES, Illegal Ivory, Illegal Wildlife Trade in Africa, Khartoum, Khartoum Smuggler's Market, Poaching, Smuggler's Market, Sudan, Wildlife Trafficking. Bookmark the permalink. Justin, a fascinating peek at a tragic situation. Fascinating article, Ames, very well explained. 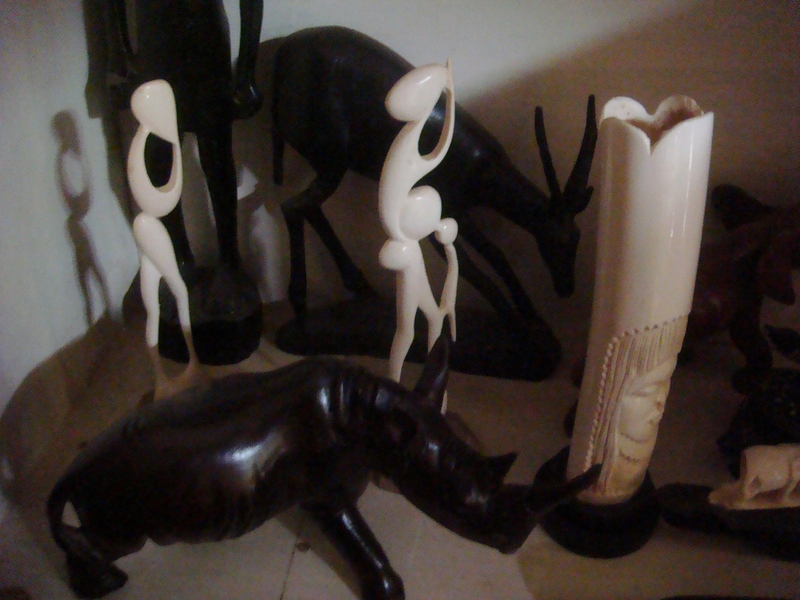 Thing is, the fewer elephants are left, the higher the price for ivory. Did they not say anything about your cameras and you taking photos of the goods? I was watching a documentary that I’m sure you’d appreciate, The Ivory Game. 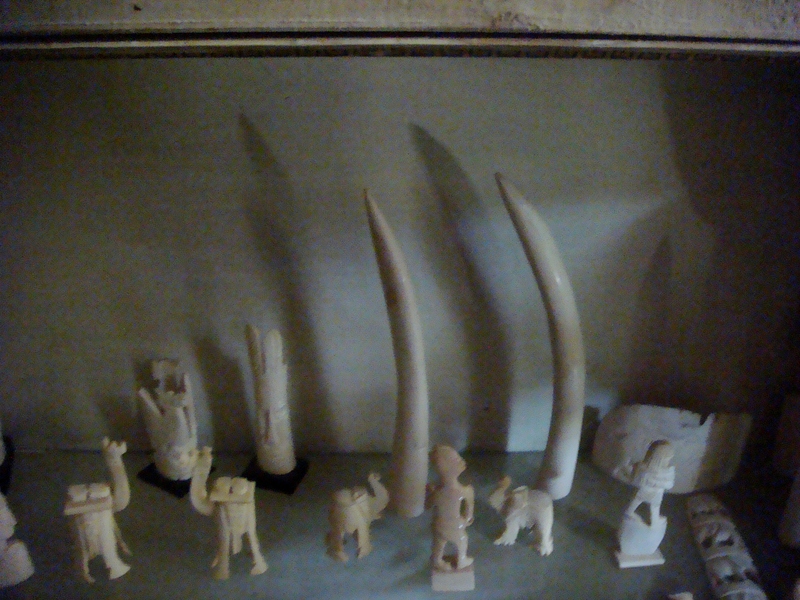 In the documentary you see a couple of Wildleaks spies going into the Chinese ivory market and it is unbelievable… China releases about 5 tons of ivory per year to licensed dealers, and allegedly, they should enforce a ban on ivory in the coming years. But they obviously fail on saving a date for it. As Jim said, this is a tragic situation. A situation that requires awareness and law enforcement on both sides: demand and supply.